While growing up in Philadelphia, Pennsylvania, Miles Avery was a seasonal athlete—for every season—participating in football, basketball, baseball, track, and gymnastics. “Graduating high school in 1976, I was the most lettered athlete, with 11 varsity awards in high school,” said Avery. Despite his eclectic sports background, Avery had a particular passion for gymnastics. 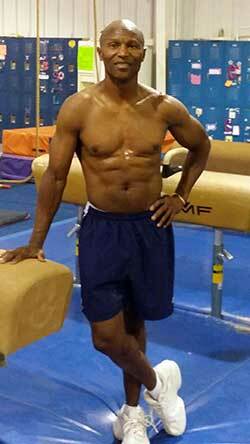 When he first attended Temple University, he decided to focus on gymnastics. Avery was given permission to try out for the Temple gymnastic team as a walk-on. Even though many of the freshman gymnastics class at Temple were very accomplished, the coach could see Avery’s athletic potential. “I had a coach look at me, and he said, ‘Wow, I think you're going to be better than any of those guys.’ I couldn't see that, but he could,” said Avery. The coach’s hunch was correct. Not only did Avery make the Temple University varsity gymnastics team, but in 1981, he became a member of the USA National Team, which is comprised of the 14 top gymnasts in the country. “Those athletes would go different places in the world to represent the USA in gymnastics,” explained Avery. 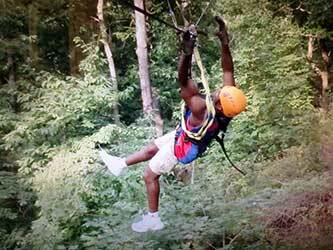 Unlike many collegiate athletes, Avery never stopped practicing in his sport after graduating. He continued to compete as a member of the USA National Team and also coached gymnastics at Temple University and East Stroudsburg University. In addition, he was an assistant coach at The Ohio State University for nine years and head coach for 13 years. Avery’s highly impressive coaching résumé is accentuated by the many accolades he’s received. He was a three-time recipient of the NCAA’s Assistant Coach of the Year Award while at Ohio State. At East Stroudsburg, he coached the national championship team and won Coach of the Year. While coaching the USA team, he was twice honored with Coach of the Year Award. 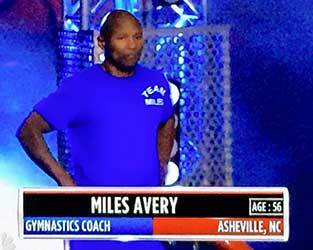 Avery continues to coach today; he currently operates OSEGA Gymnastics in Asheville, North Carolina. USA National Junior Team,” said Avery. Avery is not a coach who passively sits back and directs the boys and girls he coaches at OSEGA Gymnastics. He is able to challenge them by showcasing his own gymnastic abilities, claiming that this type of interactive coaching helps to keep him limber and flexible as well as motivate his students. “They love seeing their coach doing just anything [challenging], so that's one of the reasons why I stay involved in gymnastics that way. Most coaches don't do anything active. As long as I can, I think I will,” said Avery. 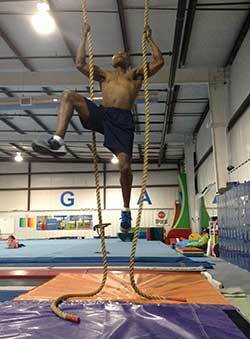 A close friend of Avery encouraged him to submit an audition video to the 2015 American Ninja Warrior, a program that features a variety of obstacles that challenge strength, speed, balance and endurance. He developed a routine that kept him in shape and helped him to prepare for the competition. “I will get up and I will do mostly cardio. I'll do some cardio work or maybe do a lot of band work with a stand that I have. I don't do a lot of weights, but I do like a lot of like pull-ups, rope climb, things like that when I'm doing my upper body core fitness. 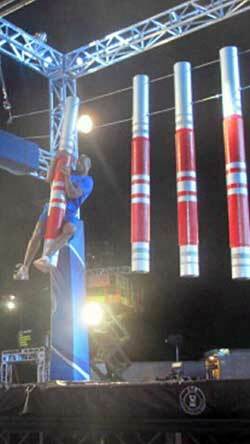 For Ninja Warrior, I was working on my quick strength,” Avery explained. The 56-year-old had a stellar performance at the competition, held in Pittsburgh, and advanced the concept that age is only a number. In addition to qualifying for the city finals, he was the fastest of the group to get to the warped wall, an obstacle that requires participants to run upward on a 13-foot wavy wall and grip the top to get to the other side. Unfortunately, this was the obstacle that prevented Avery from advancing further in the competition. 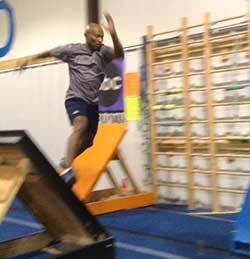 Not to be discouraged, Avery built his own 15-foot warped wall within his training facility. 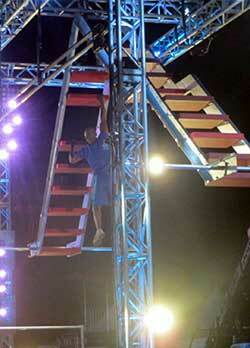 He plans to practice running up the wall in hopes to better prepare for the next American Ninja Warrior competition. Avery expresses a passion for coaching and inspiring others to excel beyond conventional thinking. “I think I can do anything and I transfer that to my kids. I transfer that to the adults that I train. You can do anything if you want to do it. You can't do everything and some days you will fail at it, but you just keep trying. You set those goals high and you keep aiming for them, you keep swinging for them and even if you fail sometimes, look how far you got,” said Avery. 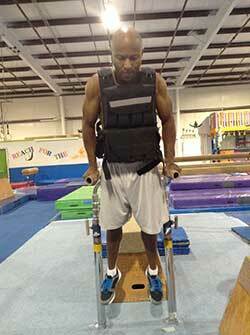 Though he may someday retire from coaching, Avery hopes to participate in athletic and fitness training. He advises others to begin exercising no matter their current level of fitness. “You don't have to go out and run a marathon, but you can walk around, just do a little bit each day. You don't have to conquer the world or win the Olympics every day, but you can do a little bit each day,” said Avery.